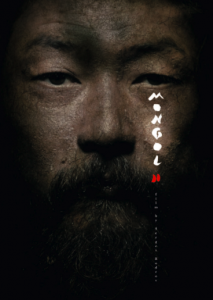 Mongol II: The Legend is the highly awaited sequel to the Oscar-nominated MONGOL. Part two is an epic blockbuster based on true events during the last years of Genghis Khan’s life – the years when he conquered half the world. To this day, his last expedition remains one of the most incredible war campaigns in military history. Covering the last year of Genghis Khan’s life and the capture of Samarkand, “The Great Khan” is a dramatic, revealing insight into the incredible power that the Khan had over all those he conquered and the threat he posed to Europe where, as far as Saxony, the Mongols had come to dominate. At the peak of his greatness, to whom can the Khan entrust full responsibility for his empire, leaving his spirit free to pass into the hands of the Mongol god Tengri? Until this question is resolved, the Khan is bound to the earth, the greater part of which, in the space of his lifetime, he has come to rule.